Everyone in Cyrodiil knows the Calvissus name. Once esteemed members of the Imperial City Council, they fell from grace when they opposed the Mede claim to the throne - a claim that was later ratified by force, if not by law. Felix was only a boy at the time, but he remembers the gradual decline that seemed to grip his family home. His teens were defined by a series of what could charitably be called "get rich quick schemes"; ill-advised associations with people who were, at best, looking to take advantage of a desperate man's naivete. It was only a matter of time before Felix came to serious harm. When the mysterious "Lord Harkon" took Felix under his wing, he did so with the promise of wealth, influence, and the rehabilitation of the Calvissus family name. In reality, Harkon was the leader of a coven of vampires seeking to dominate mankind. Harkon made good on his word, turning Felix so that he could learn what it meant to be a predator amongst prey. It would be many years until the vampire lord's "Right Hand" would break free of his corrupting influence, and during that time Felix's monstrousness had become almost on par with that of his notoriously cruel patron. 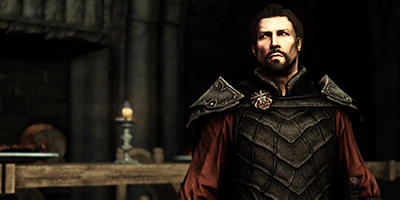 Newly repudiated by his allies, Felix watched the spread of the Volkihar clan across Tamriel, and realized that he stood the best, and perhaps only, chance of stopping Harkon at his own game. By the time Harkon became aware of his erstwhile protege's activities, Felix had already significantly curtailed the clan's activities. Branded a traitor and a kin-killer, he was hunted across Tamriel not only by his former clan, but also by the forces of the Dawnguard. Most of the time, Felix staggered away the victor. Sometimes, he wasn't so lucky. Whilst investigating the increased vampire activities in Whiterun Hold, Felix was ambushed by a group of high-level vampires, leading to a bloody and vicious battle. He awoke days later in the little village of Rorikstead, under the care of inn-owner Mralki and his son, Erik. If you met Felix on the street, you'd likely never realize that he used to be one of the Volkihar clan's most feared enforcers. Almost a century of undeath has left him hungry for any kind of novel experience; he's particularly fascinated by the lives of everyday people such as Erik and Mralki, although his attempts to pitch in around the farm yield limited success. Above all, Felix is a man trying to atone for a life of casual brutality. 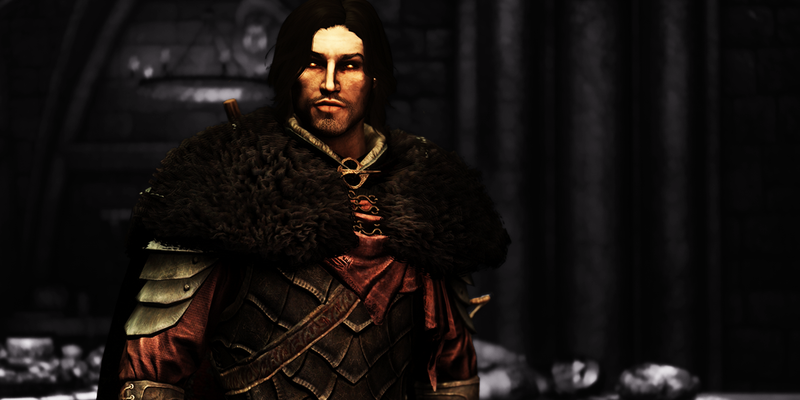 In terms of power, he's second only to Harkon himself, although his clear affection for mortals is a has proven a serious handicap - one that the Volkihar clan aren't above exploiting. 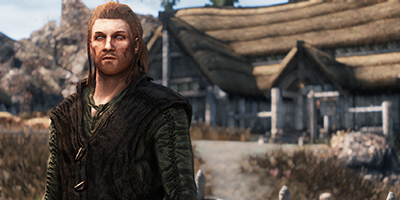 Growing up in sleepy Rorikstead, Erik dreams of romance and adventure. Now, Felix's arrival in Rorikstead may make those dreams a reality - but it also comes with a very real danger. Lord Harkon plucked Felix from the gutter and gave him purpose, even if that purpose was monstrous. Now, Felix has dedicated himself to bringing down Harkon's growing empire. 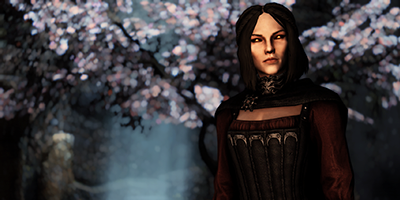 Serana maintains an uneasy relationship with her father's heir apparent, although the two have grown closer since Felix left the Volkihar clan. He considers her a sister. She's not so sure.